Despite the rise of social media and digital streaming services, Carlisle knows the best way to connect to music is through one-on-one connections like that—and this helped inspire the creation of Stealing The Covers, the Wyoming punk quartet’s new album, comprised of 14 songs all by bands Bottlerocket has encountered throughout their travels, from groups who share their same ZIP code to complete strangers who passed along a CD at a gig. Other lesser-known groups Bottlerocket paid homage to include Canada’s Varsity Weirdos (“The Way I Know”), San Francisco’s Onion Flavored Rings (“I Kill Butterflies”), Austria’s the Mugwumps (“Alien Motion Technology”) and Seattle’s HEAD (“No Hugging No Learning”), all of whom gave their blessing for their material to be covered. 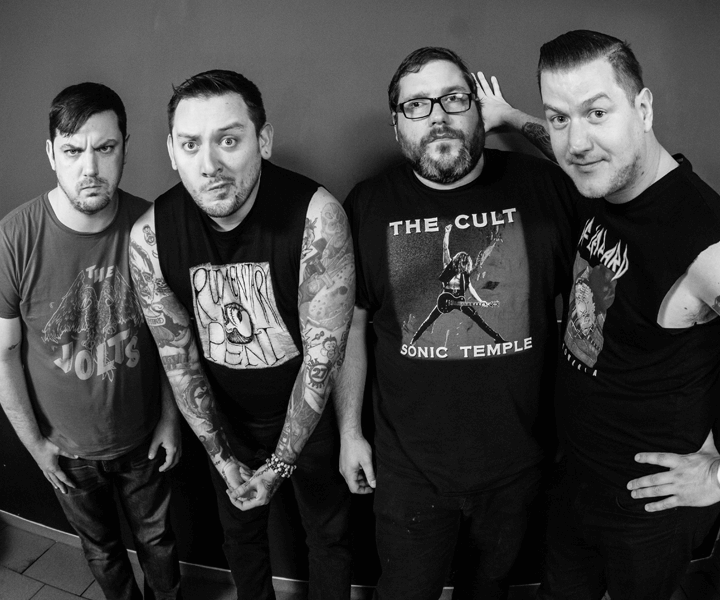 The album will mark Bottlerocket’s return to Fat Wreck Chords after a brief but successful stint with Rise Records. As Carlisle tells it, there’s no place else the band would rather be. “It’s almost as if we didn’t leave,” he explains. “We had everyone at Fat’s blessing to go to Rise in the first place, and we were really happy with the way everything worked out with Tales From Wyoming, but coming back to Fat is like being out of town and then coming back home. We just feel more comfortable on Fat Wreck Chords. The band will support Stealing The Covers with a world tour this year, bouncing through Europe and Australia before landing back in the U.S., just in time for a prime slot at the Fest in Gainesville, Florida. Expect some of these covers to pop up in the band’s set, too—and maybe even some new originals.